Before selecting a puppy you should ask yourself some very important questions. First are you ready to commit yourself to being a responsible dog owner. Are all members in your family happy about getting a new puppy. Females are said to be gentler than males. Males are slightly larger than females. Males have a higher activity level and a stronger tendency to roam. Spaying will eliminate some of these problems. Both sexes are equally loving and loyal. Females are super watchdogs because they are less likely to be distracted by outside forces. Males are noted for being more aggressive against intruders. Puppies are the most adorable at six weeks of age, but not the best age to bring a new puppy home. At six weeks they need constant care and attention. Most puppies that die when brought home are too young. A lot of pet stores and breeders sell puppies at six weeks so they don’t have the added expenses. Puppies should not be sold before ten weeks of age to insure health. I keep all my puppies until ten weeks with only a few exceptions. Purchase a puppy when you feel it will be best for you. 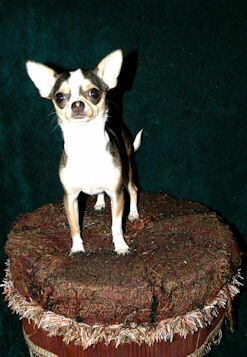 If you decide to by an adult dog check his disposition carefully with all family members. 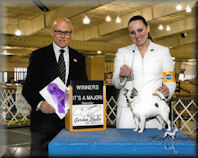 Check your local newspapers for local breeders. 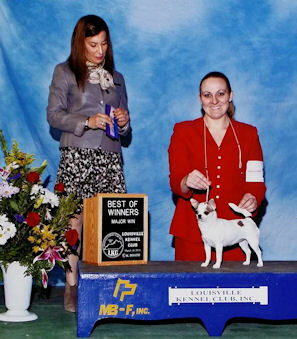 Price of your AKC or purebred puppy will be expensive but, you may be able to see several generations of your dog’s ancestors. This will help insure health and will give you a good indication of what your puppy will look and act like. A none purebred dog can be a great dog as well, but a lot of the time health is not as well and vet bills can get costly. Make sure you see both or at least one of the puppy’s parents. Your Breeder should allow you a couple of days to get the puppy or dog to get checked out by your veterinarian for a health examination. 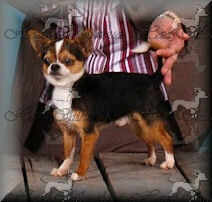 At the time of sale, the breeder should furnish you with your purebred puppy’s registration papers. For pet homes other papers can be provided. Training should begin when a dog is young so that good habits are formed early in life. It is important to establish rules of the house, to be consistent in the enforcement of those rules, and to lavish the dog with praise as a reward for a job well done. 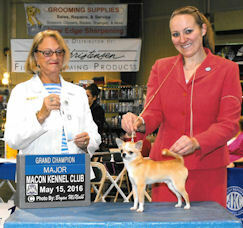 Some breeders start basic training before puppies are sold. There are may helpful websites, books and even puppy classes that can assist you. Good Luck in finding that perfect puppy or dog for you! If you have any questions please feel free to email. second set of shots and worming. Check out our Puppy Page to see the new babies! 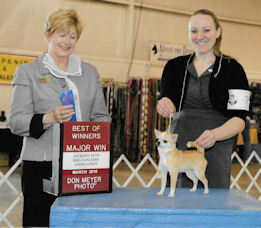 Above "GRAND CHAMPION Haas's Life Is A Highway Arizona" Back to Back Major in KY.
Below is CH. 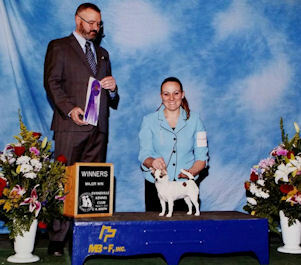 Haas's Grand Master Yoda, Yoda Won his Championship at ONLY 7 Months old and in his First 2 weekends in the Ring. WOW what an AMAZING Little Boy!! 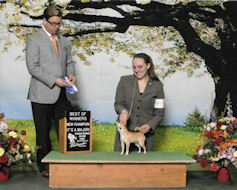 Now 8 months old and only 2 points away from his Grand Championship, with amazing 5 pt. & 4 pt. Majors & Champion Defeats. 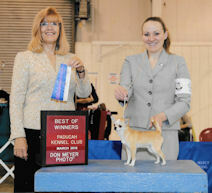 Look for some of our dogs in the Show Ring. Now Showing is our CH. 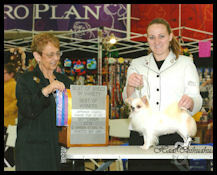 Yoda, others will be entering the ring soon, including our little Opal! Thanks so much to our good friend & handler Andrea Carter of True Shot Handling! We are located in Southern Michigan, on the Northern Indiana Michigan Border Near, Elkhart IN., South Bend IN., Fort Wayne, Indianapolis, Chicago, Michigan. We would rather you come to our home to pick up your baby but we realize that is not always possible and so we have safe means of shipping if needed.